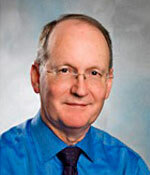 Robert N. Jamison, Ph.D. is an Associate Professor at Harvard Medical School in the Departments of Anesthesia, Psychiatry, and Physical Medicine and Rehabilitation. He is the Chief Psychologist at the Pain Management Center at Brigham and Women’s Hospital in Boston. Dr. Jamison has received numerous grants from the National Institutes of Health (NIH) and has authored 2 books, a CD-ROM, and over 180 peer-reviewed articles and chapters on behavioral medicine and chronic pain. He has been on the Board of Directors for the American Pain Society, serves on the editorial boards of five medical journals, and is a member of the NIH Behavioral Medicine Study Section.